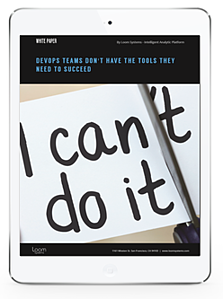 DevOps teams around the world are more swamped than ever - they’re up against a host of problems and challenges that are constant across offices. Each department is expected to hit daily, weekly, or quarterly goals, but more and more resources have to be allocated to maintenance and support - and no number of sprints puts a dent in the struggle. Between permuting search queries, changing logs, updating 3rd-party APIs, and plain nonsensical logs, DevOps teams have many frustrations. Let me guess: you’ve heard them say some (or all) of the sayings in this whitepaper.